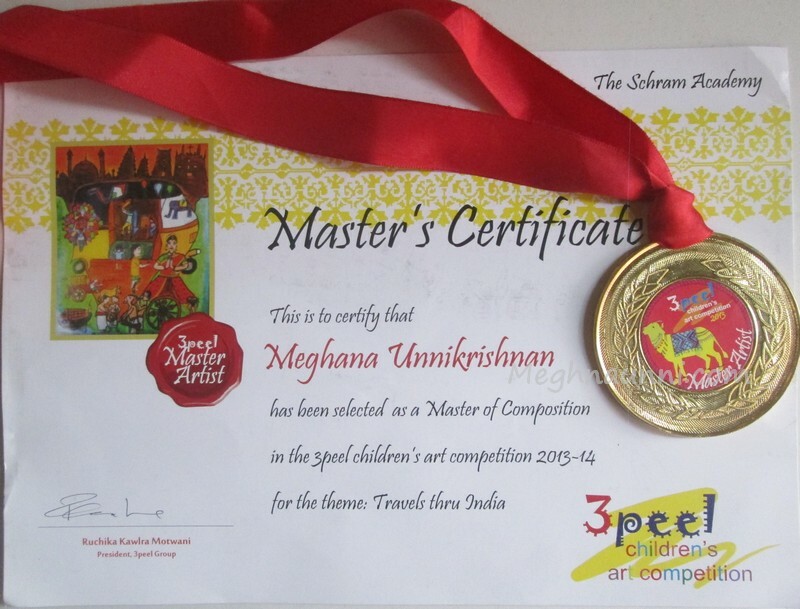 Meghna won the Master Artist Award from 3peel Group for the Best Composition in the recently concluded 3peel Annual Children Art Competition 2013 on the theme ‘Travels thru India’. 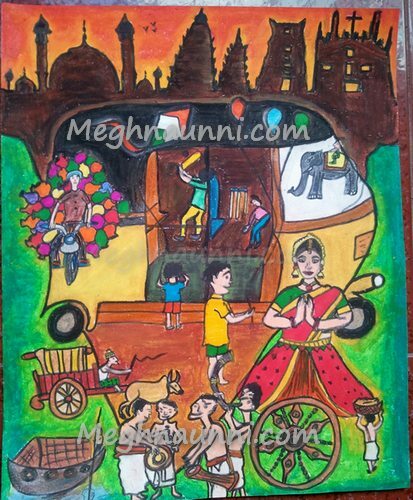 This is her painting in which she depicted the some of the common scenes from Indian streets and also the heritage and monuments of India. She received a medal and a certificate which has her painting printed on it from the 3peel group.